What are the benefits of buying a property in Bahrain? Driven by its need to embrace economic liberalization and attracting foreign investments, the Kingdom of Bahrain aimed to diversify its economy away from its limited oil supplies- given the existing oil slump situation. Which is why – unlike it’s Persian Gulf neighbors – the kingdom succeeded in growing economically through expanding into a number of different revenue streams such as banking, heavy industries, retail and tourism that helped to push Bahrain’s Economy forward. By succeeding in attracting foreign investments in various economic sectors over the past years, The Kingdom of Bahrain managed to become one of the few countries in the region who showed real economic resilience. Below, we have rounded up 5 of the kingdom’s key investment sectors that Pushed Bahrain’s Economy Forward. 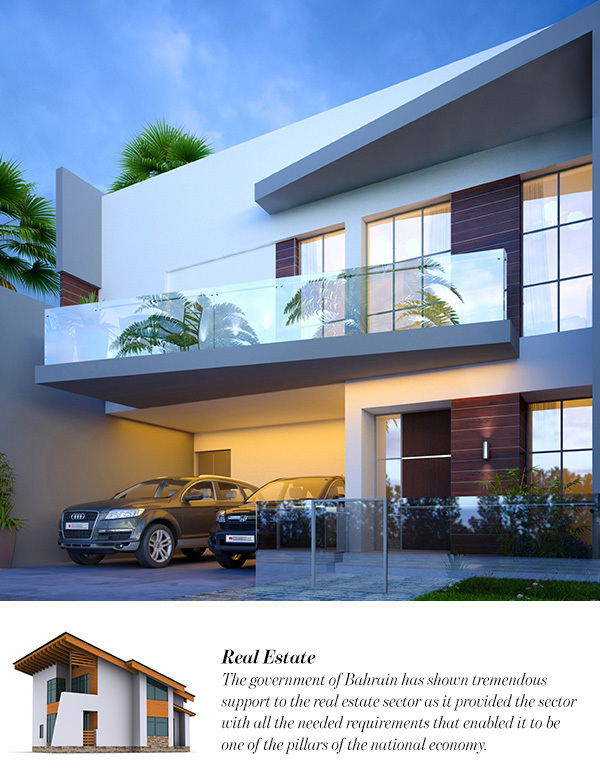 The government of Bahrain has shown tremendous support to the real estate sector as it provided the sector with all the needed requirements that enabled it to be one of the pillars of the national economy. It is worth mentioning that in the last two years, a number of real estate investment and development companies have entered the local real estate market and launched a number of real estate projects in key areas that promote a convenient and luxurious lifestyle. With the beginning of 2017, it is safe to say that the real estate market in Bahrain is expected to record a stability in all its sectors as mentioned by Cluttons Bahrain which will contribute to the growth of Bahrain’s Economy. In 2016, the kingdom of Bahrain was chosen as the GCC capital of tourism. With a number worldwide hospitality venues, international restaurants, and shopping outlets, Bahrain has succeeded in attracting tourists from all over the world. In 2014, tourism contributed with 700 million dollars to Bahrain’s economy. 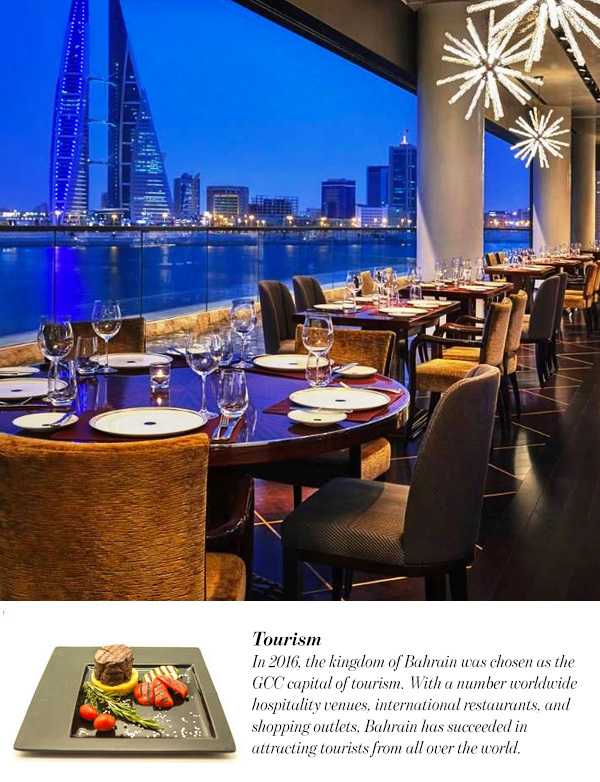 The huge growth in the tourism sector has affected hotels and restaurants sector which grew by 4.1% between 2013-2014 and positively affected Bahrain’s Economy. 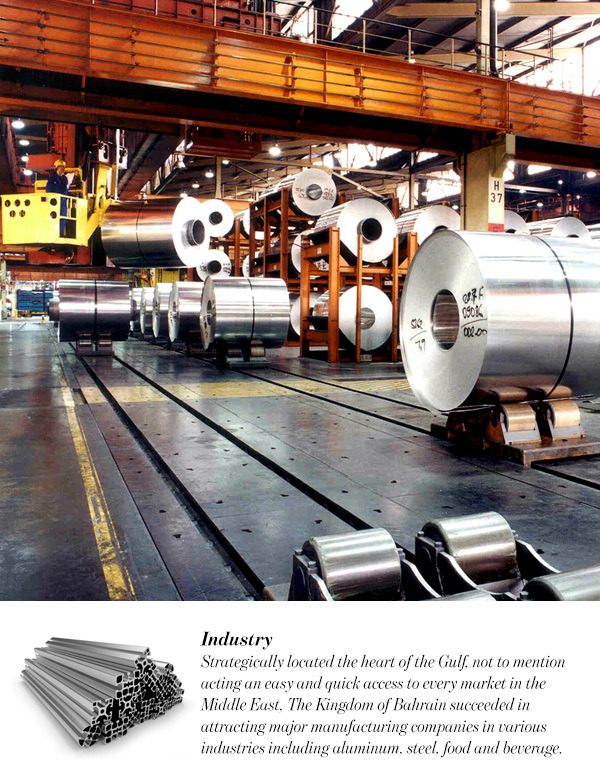 Strategically located the heart of the Gulf, not to mention acting an easy and quick access to every market in the Middle East, The Kingdom of Bahrain succeeded in attracting major manufacturing companies in various industries including aluminum, steel, food and beverage. The kingdom of Bahrain has made it easy to do business on its land since it offers duty-free access manufactured goods to the GCC, the Greater Arab Free Trade Area and the USA not to mention that the country’s 100% foreign ownership of businesses and real estate has encouraged investors to consider the kingdom as a home to their businesses, thus free movement of capital, profits, and dividends. Bahrain has invested in world-class logistics and infrastructure in a way that made it the best country in the region to offer physical access to Middle East Markets as well as free flow of goods. 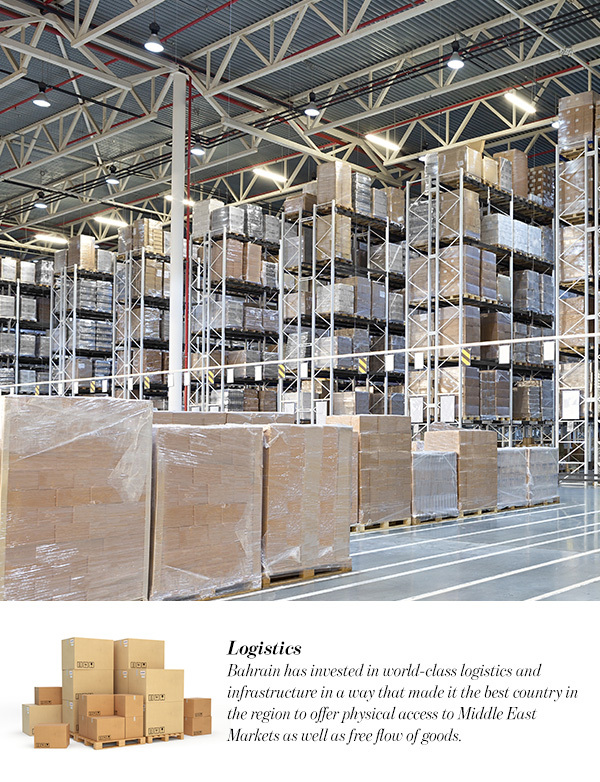 Since the Kingdom invests greatly every year in integrated logistics, business, and infrastructure, Bahrain has become an excellent place for investors who seek superb value and low business costs. 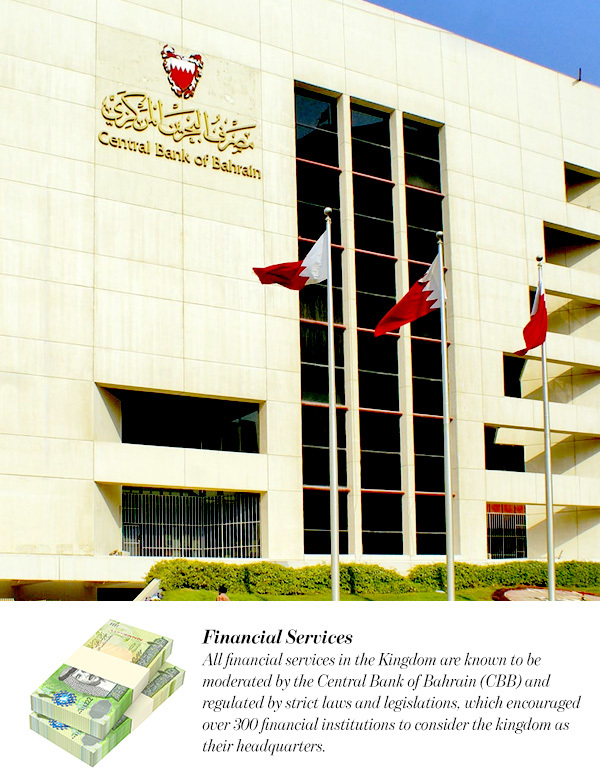 All financial services in the Kingdom are known to be moderated by the Central Bank of Bahrain (CBB) and regulated by strict laws and legislations, which encouraged over 300 financial institutions to consider the kingdom as their headquarters. Also, Bahrain is considered the international capital of Islamic banking since it is the home of 24 Islamic Banks. It is worth mentioning that the CBB is the authorized by the law to be the only auditing authority in the Kingdom to supervise the financial sector as well as managing debt instruments, issuing national currency and supervising all payment procedure in the Kingdom.